And now here I am, in what I consider my dream job. Volvo makes many good products, but when people think of Volvo, they often think of articulated haulers first. 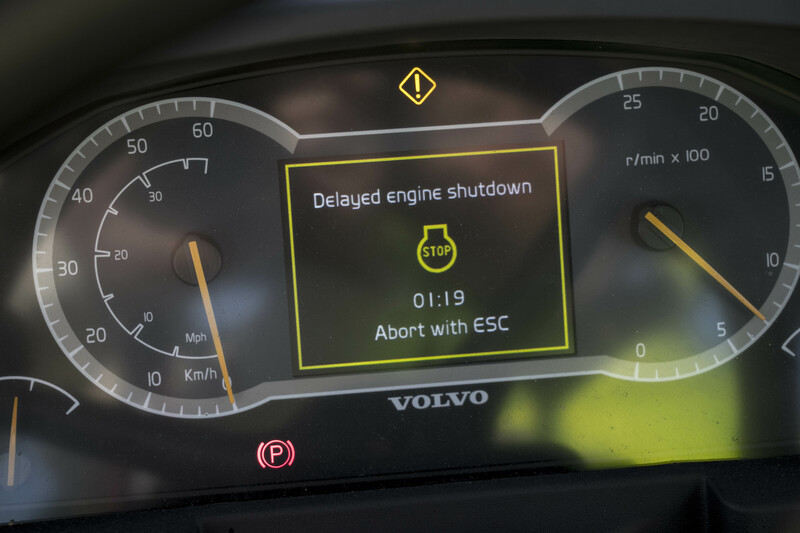 After all, Volvo invented the equipment category 52 years ago. Now, as an inside man, I’m able to work with customers and help them be more efficient with what I believe still is, and always will be, the best lineup of haulers in the industry. Here are four of the key differentiators that I believe truly set us apart to this day — all new features for the G-Series and A60H lineup. Hill Assist and the Dump Support System. Hill Assist holds the hauler in place when working on uphill slopes of 10 percent or greater, without the need to engage the parking brake. 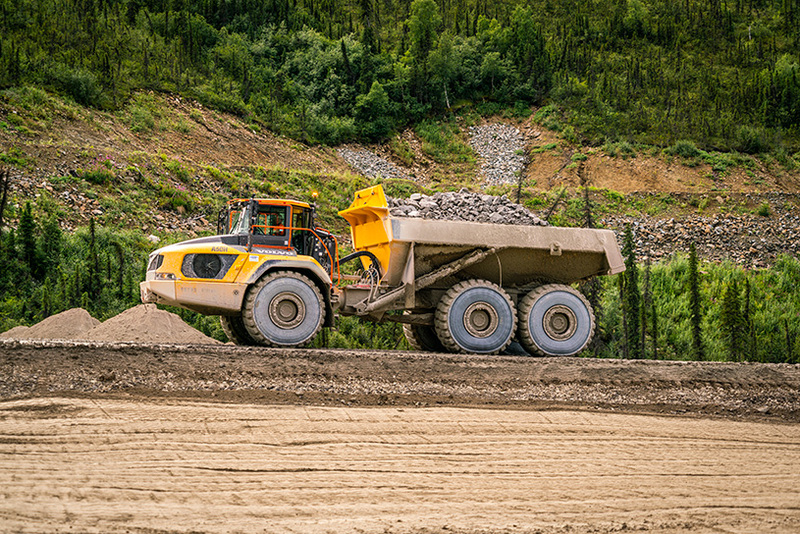 The feature automatically activates when arriving at a complete stop on a hill and is disengaged when the operator accelerates.The Dump Support System allows the operator to see the percentage side inclination of the truck and set allowable parameters for safe dumping operations. The Dump Support System complements the Load and Dump Brake technology from Volvo. The tipping lever has automatic hold in the lowering position, which provides precise control for faster cycle times. Volvo Dynamic Drive and Volvo Engine Brake (VEB) systems. Dynamic Drive provides an improved gear shifting strategy that takes into consideration both the payload and the gradient of the slope. The machine will automatically detect when to choose a higher starting gear or when to shift up earlier. When conditions require, the machine will prolong the gear, ensuring maximum rim-pull.With the new VEB system, the torque and shift points are now dynamically adjusted against the current load, inclination, and rolling resistance, which improves brake life by reducing the need to use the brake and retarder pedal when going downhill. The new VEB also leads to significant increases in max torque on all models. On-board weighing. With the addition of on-board weighing — now standard on A35G and larger models and optional on A25G and A30G models — the hauler operator can see the actual tonnage displayed on the in-cab Contronics display in real-time. The display also includes a new Econometer feature showing fuel economy in the form of gallon per transported ton, per work cycle for the last 10 cycles. A60H articulated hauler. At 60 tons, this is the world’s largest fully articulated hauler, showing that Volvo once again invented a new category of equipment. When I worked in sales, I always heard people talk about the need for a 50- or 60-ton truck. Now I’m part of the company that made this a reality, and I’m doing demos and operator training on the A60H. It’s a great experience for me personally, but more than that, it’s rewarding to help the sales people and customers. It’s really fulfilling to help build on the Volvo articulated hauler legacy, and I know that in the coming years there will be even more advancements that shape the industry. I love our Artics! They keep getting better and better. I’ve been selling the since the 80″s and we’ve been the best and will remain the leader today and on into the future! If there were a number 5, I’d suggest that Volvo’s Full-Suspension option is a game changer in the ADT market. I’ve heard numerous operators rave about this feature, and them not ever want to switch to operating any other piece of construction machinery on the jobsite, due to the smooth ride. I’m one of the assembler of the full suspension machines in Braås, and we often here that drivers never will go back to standard haulers. So that is a very good response.